The Manna of Hahndorf is a modern and contemporary 4-star boutique motel offers 51 stylish rooms and several other facilities for your convenience. Beautifully nestled in the heart of historic Hahndorf, this property provides you with a sanctuary to explore Hahndorf and the Adelaide Hills, yet it is only a breezy drive away from the nearby Barossa, Fleurieu Peninsula regions, and 20 minutes from Adelaide. 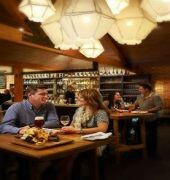 The on-site restaurant and bar is a great place to rest and sample delicious food after a long day of venturing. 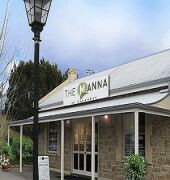 A unique and wonderful experience is guaranteed at The Manna of Hahndorf.